Shea Stadium items from the Mr Shea Stadium dot com collection! Most of the Shea Stadium items we are listing are discounted up to 50% off the Mr Shea Stadium dot com web page prices! Each item comes with a Letter of Authenticity from Mr Shea Stadium dot com. 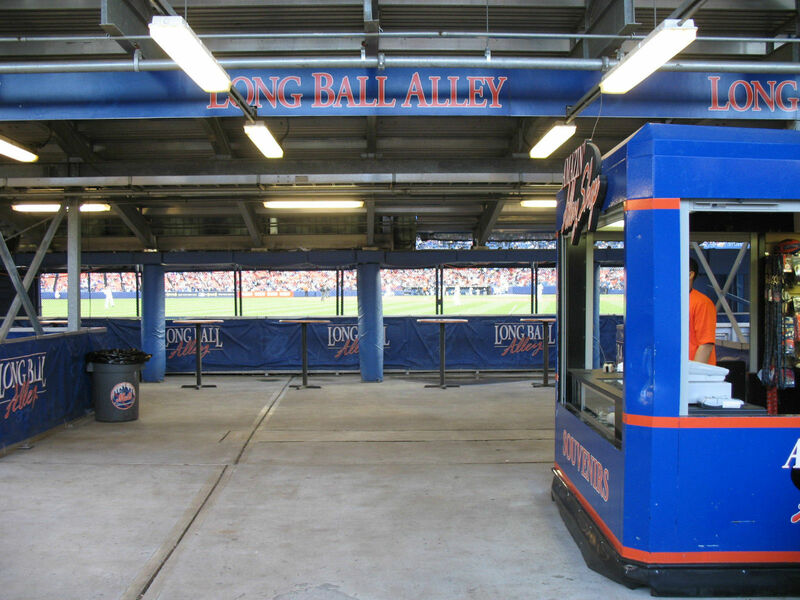 This bid is for a Shea Stadium New York Mets Banner from the LONG BALL ALLEY. This was the area right behind outfield wall, near the 371 foot marker. Was also located under the bleacher seats. Banner is heavy vinyl. See photos showing these banners all around that section. Banner is just under 4 foot by 9 foot wide. Banner is a really nice item from shea that can be hung up almost anywhere. GREAT item for ones basement, MAN CAVE, bar etc.